Properties in Johnson County average 4.8 out of 5 stars. Property 2: North Liberty Home on Iowa River w/ Fire Pit! 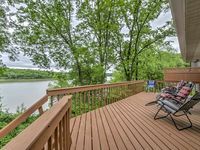 Property 3: North Liberty House on Coralville Lake near Dock! 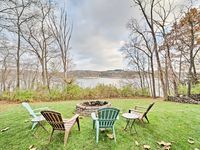 Property 4: Lake MacBride Cabin- State Park! Book 2 nights, get 3rd free! Property 10: Mid-Century Modern home in Manville Heights. CORNER OF CALM IN THE ♥ OF CEDAR RAPIDS! Property 27: CORNER OF CALM IN THE ♥ OF CEDAR RAPIDS! Property 29: Your Beautiful Golf Getaway Destination! Property 30: Czech Village Charmer - near downtown, NewBo & I380. Safe family neighborhood. Property 32: Your Beautiful Golf Getaway Destination! Property 33: Easy & Fun Downtown Location, near NewBo, US Call Center, and super Affordable. Property 35: Your Beautiful Golf Getaway Destination! Property 37: Your Beautiful Golf Getaway Destination!